Find a Senior Landscape Architect job? 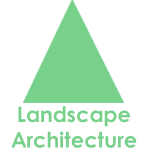 A Senior Landscape Architect job will typically have at least five years’ experience in the field and a track record of delivering a variety of successful landscape projects. As key members of the design team, Senior Architects are often required to lead a team of Landscape Architects in the delivery of a range of projects across natural and built environments. HAUS was set up with the aim of establishing a creative recruitment agency run by consultants from the design industry. This means that each member of our team has a genuine passion for all things design – as well as contacts at London’s most prominent architecture firms – and can offer honest, credible advice on your next career move. Our job board above displays our up-to-date list of Senior Landscape Architect roles in London. Before applying, please take a look at our Architectural CV Guide for top tips from our expert recruiters to ensure you’re showcasing your skills in the best way. Having enjoyed a successful career as a Landscape Architect, Senior Landscape Architects will be given far more responsibility on projects and will be expected to lead projects from concept through to construction. You will play a central role client management and satisfaction; maintaining and growing existing relationships, while identifying future opportunities. Further duties will likely include preparing landscape proposals and bids for new work, ensuring compliance with relevant H&S requirements and helping junior team members fulfil their potential. You will be leading teams and working closely with contractors and clients so excellent communication skills and the ability to interact well with people at all levels are prerequisites. An inherent interest in the natural environment and a thorough understanding of conservation issues are equally important. Good design/drawing skills including computer-aided design (CAD), a creative mindset and a great eye for detail are all highly beneficial. How much do Senior Landscape Architect jobs get paid in the UK? Salaries for Senior Landscape Architects jobs can range from around £35,000 to £45,000 per year, as indicated by our Salary Guide. Designed to help ensure candidates are getting the right wage, the guide provides a handy overview of the average salaries for professionals working across the architectural spectrum in the UK.